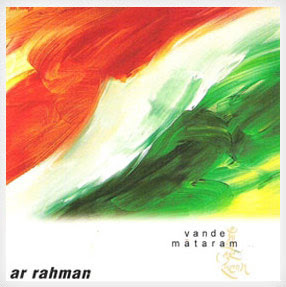 Vande Mataram is a album by A. R. Rahman. It was released on December 9, 1997 . The album was made on India's 50th anniversary of independence to reinstill Patriotism amongst the Indians. In 2002, BBC World Service conducted an international poll to choose ten most famous songs of all time. Around 7000 songs were selected from all over the world. Maa Tujhe Salaam from Vande Mataram, was second in top 10 songs.